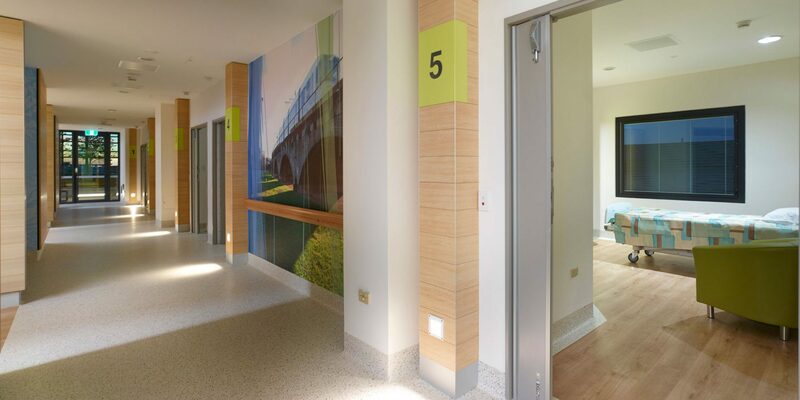 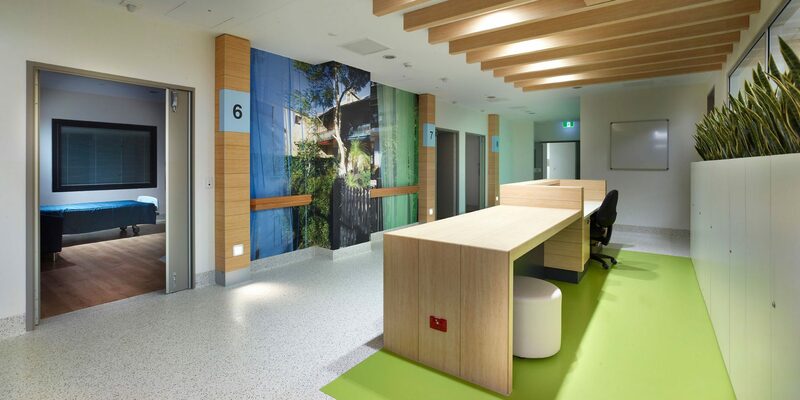 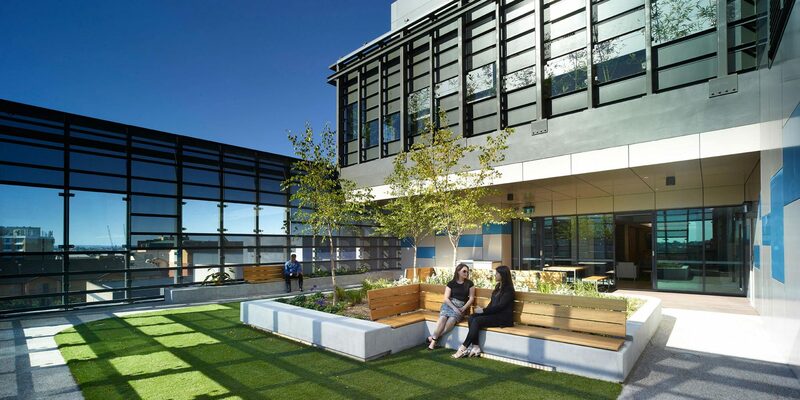 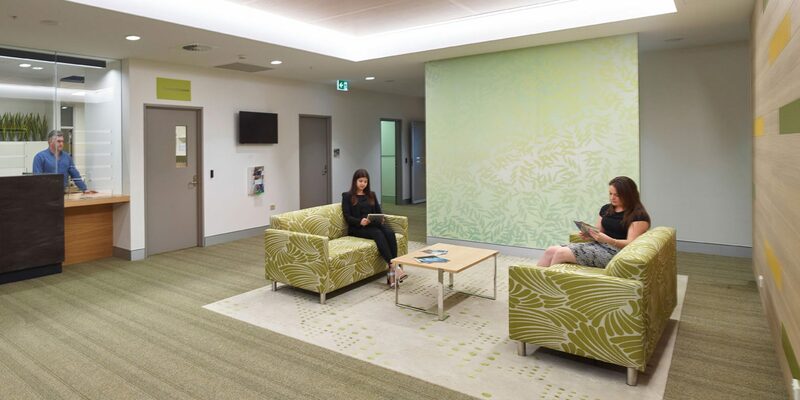 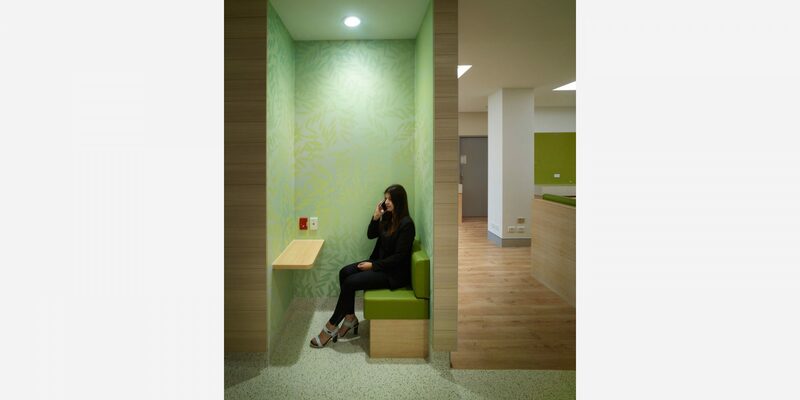 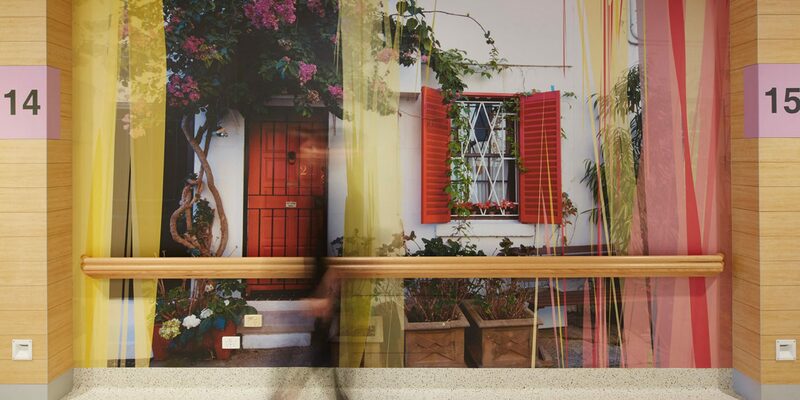 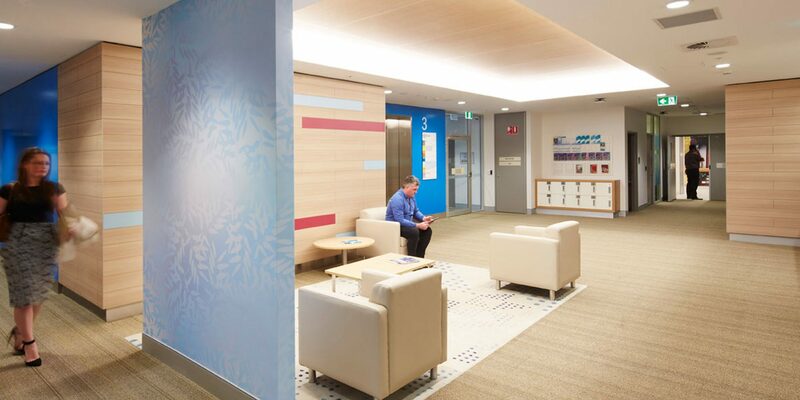 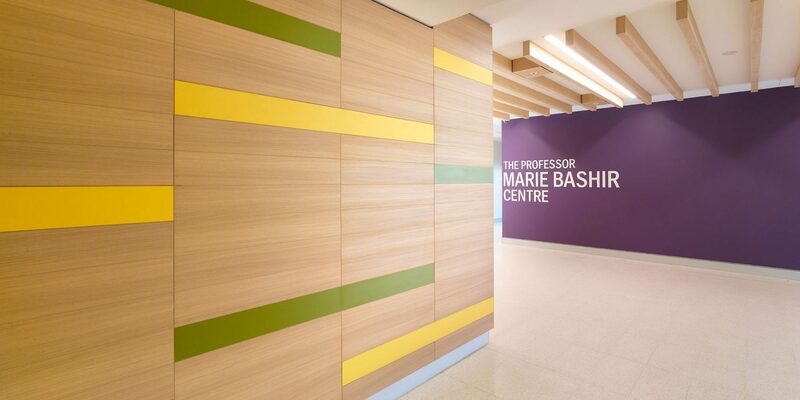 The brief was to create a sense of neighbourhoods throughout this facility to give the patients a sense of place rather than just being in a hospital. 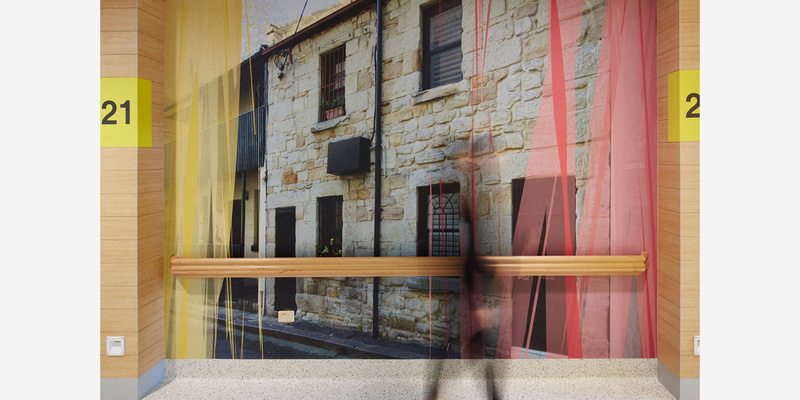 We created a range of streetscapes by photographing houses around the local vicinity including Chippendale, Ultimo, Redfern and Surry Hills. 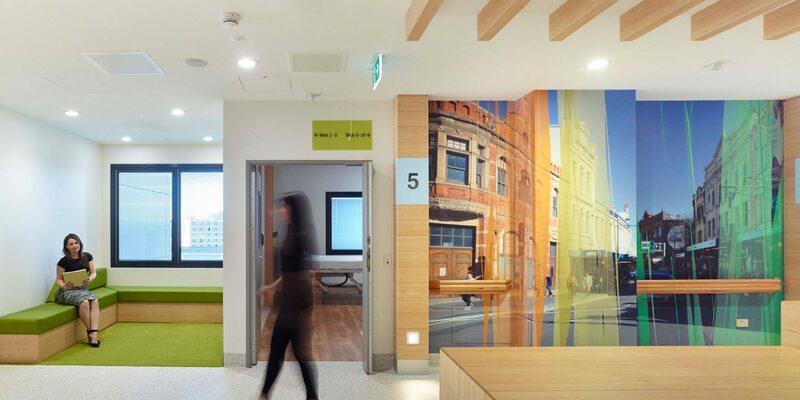 These images were then incorporated into “broadstroke” to create an engaging graphic. 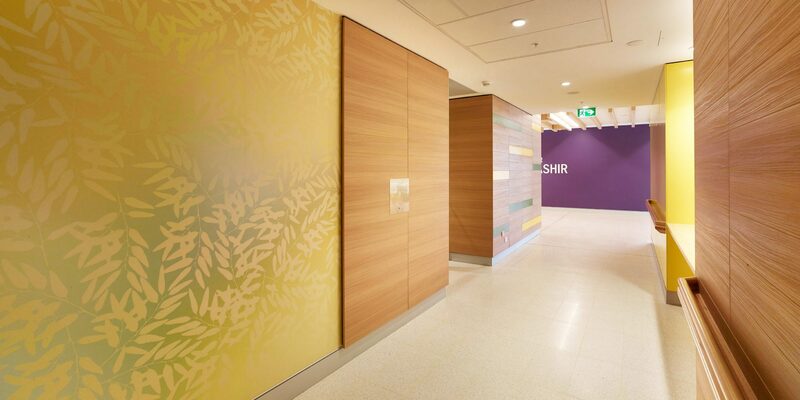 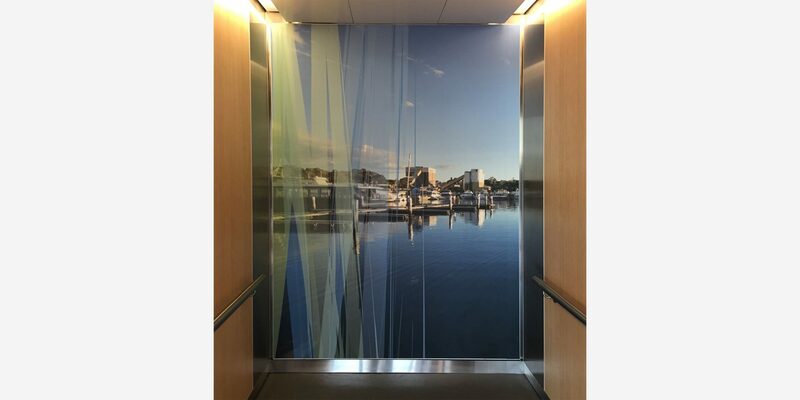 In other areas where screening was needed, again we took a standard design “gumleaf” and introduced a photographic element to soften the graphic. 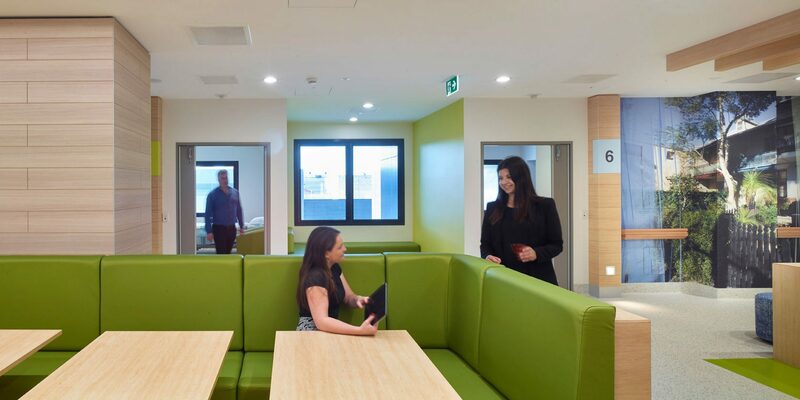 The end users were really impressed with overall result. 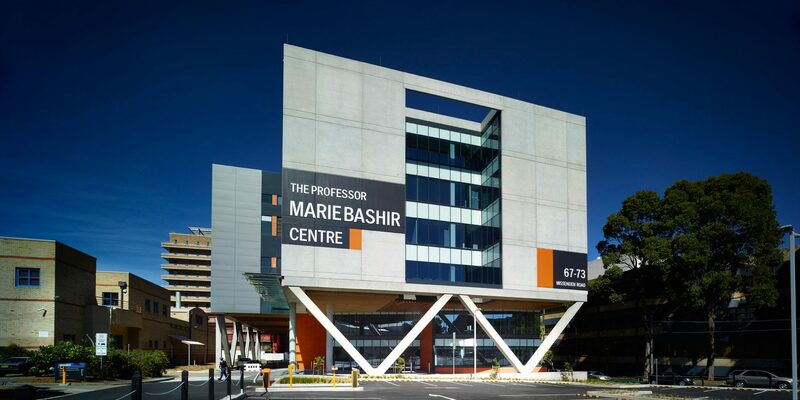 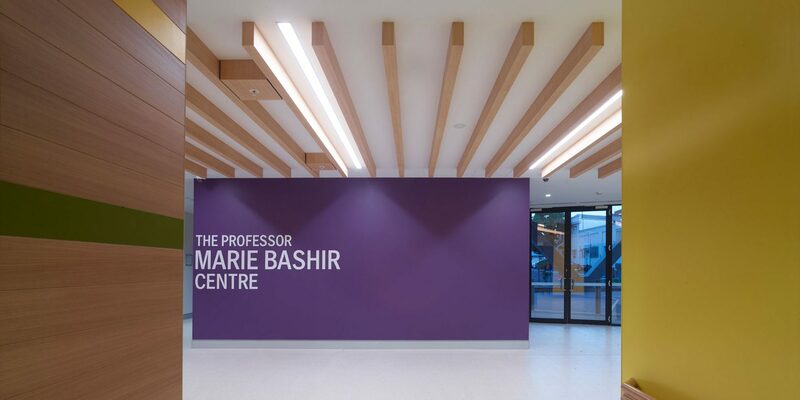 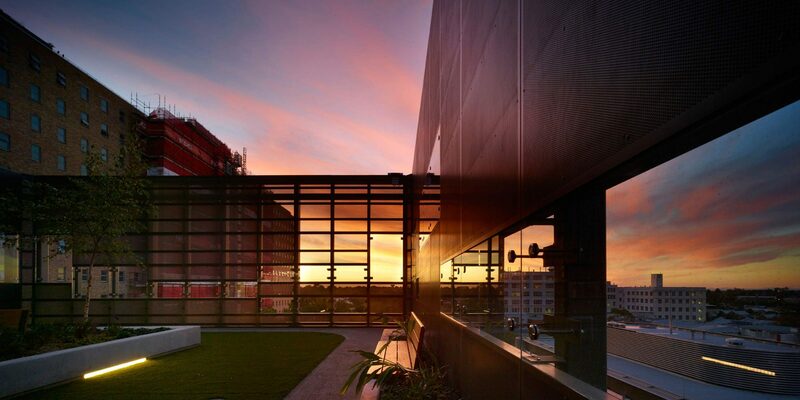 The facility is named in honour of former NSW Governor Professor Marie Bashir, who has made a significant contribution to mental health care in NSW.